One Simple Price $67,665 Finance $1116/mo Finance for $1,116 per month at 5.04% APR for 72 months with $0 down payment. Payment expires on 04/30/19. Lease $939/mo Lease for $939/month for 39 months with $0 due at signing including $0 Security Deposit and 10,000 miles per year. Payment expires on 04/30/19. 1Factory Option Package Discount 2Dealer Discount From MSRP 3Not available with special finance or lease offers. Take delivery by 04-30-2019. 4Must finance through GM Financial. Some customers may not qualify. Not available with some other offers. See participating dealer for details. Finance for $1,116 per month at 5.04% APR for 72 months with $0 down payment. Payment expires on 04/30/19. Lease for $939/month for 39 months with $0 due at signing including $0 Security Deposit and 10,000 miles per year. Payment expires on 04/30/19. Estimated Lease payment based on 39 months and $0 due at lease signing. Cash due at signing includes $1,750 capitalization cost reduction, which includes $650 acquisition fee, plus a required security deposit of $0, and first month's lease payment of $939. Excludes title, taxes, registration, and license fees. Total monthly payments equal $37,398. Mileage charge of $0.25 per mile over 10,000 miles. Not all consumers will qualify. Lessee responsible for maintenance and insurance during lease term. Charges for delinqent payments, excess wear and early termination apply.. Residency restrictions may apply. One Simple Price $57,924 Finance $959/mo Finance for $959 per month at 5.04% APR for 72 months with $0 down payment. Payment expires on 04/30/19. Lease $798/mo Lease for $798/month for 39 months with $0 due at signing including $0 Security Deposit and 10,000 miles per year. Payment expires on 04/30/19. 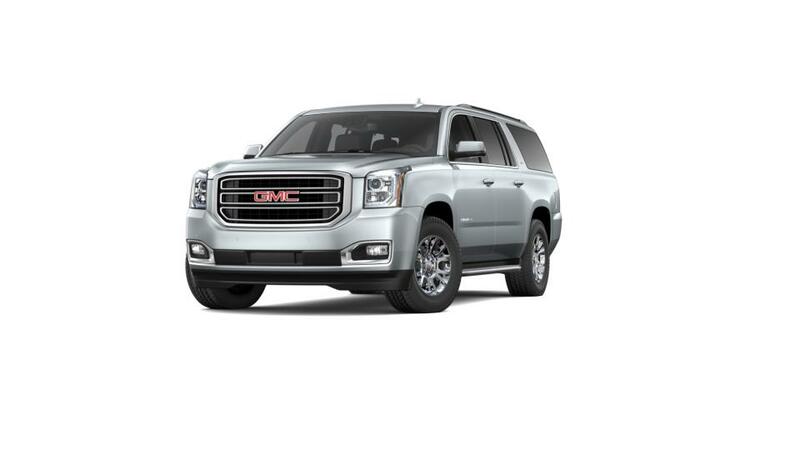 1Factory Option Package Discount 2Factory Option Package Discount 3Dealer Discount From MSRP 4Not available with special finance or lease offers. Take delivery by 04-30-2019. 5Must finance through GM Financial. Some customers may not qualify. Not available with some other offers. See participating dealer for details. Finance for $959 per month at 5.04% APR for 72 months with $0 down payment. Payment expires on 04/30/19. Lease for $798/month for 39 months with $0 due at signing including $0 Security Deposit and 10,000 miles per year. Payment expires on 04/30/19. Estimated Lease payment based on 39 months and $0 due at lease signing. Cash due at signing includes $1,750 capitalization cost reduction, which includes $650 acquisition fee, plus a required security deposit of $0, and first month's lease payment of $798. Excludes title, taxes, registration, and license fees. Total monthly payments equal $32,056. Mileage charge of $0.25 per mile over 10,000 miles. Not all consumers will qualify. Lessee responsible for maintenance and insurance during lease term. Charges for delinqent payments, excess wear and early termination apply.. Residency restrictions may apply. One Simple Price $40,490 Finance $714/mo Finance for $714 per month at 5.04% APR for 72 months with $0 down payment. Payment expires on 04/30/19. Lease $573/mo Lease for $573/month for 39 months with $0 due at signing including $0 Security Deposit and 10,000 miles per year. Payment expires on 04/30/19. One Simple Price $41,290 Finance $727/mo Finance for $727 per month at 5.04% APR for 72 months with $0 down payment. Payment expires on 04/30/19. Lease $590/mo Lease for $590/month for 39 months with $0 due at signing including $0 Security Deposit and 10,000 miles per year. Payment expires on 04/30/19. 1Dealer Discount From MSRP 2Additional dealer discount from MSRP all prices plus Tax, Title and License. 3Must finance through GM Financial. Some customers may not qualify. Not available with some other offers. See dealer for details. 4Residency restrictions apply. Finance for $727 per month at 5.04% APR for 72 months with $0 down payment. Payment expires on 04/30/19. Lease for $590/month for 39 months with $0 due at signing including $0 Security Deposit and 10,000 miles per year. Payment expires on 04/30/19. Estimated Lease payment based on 39 months and $0 due at lease signing. Cash due at signing includes $750 capitalization cost reduction, which includes $650 acquisition fee, plus a required security deposit of $0, and first month's lease payment of $590. Excludes title, taxes, registration, and license fees. Total monthly payments equal $23,150. Mileage charge of $0.25 per mile over 10,000 miles. Not all consumers will qualify. Lessee responsible for maintenance and insurance during lease term. Charges for delinqent payments, excess wear and early termination apply.. Residency restrictions may apply. One Simple Price $40,690 Finance $704/mo Finance for $704 per month at 5.04% APR for 72 months with $0 down payment. Payment expires on 04/30/19. Lease $538/mo Lease for $538/month for 39 months with $0 due at signing including $0 Security Deposit and 10,000 miles per year. Payment expires on 04/30/19. 1Some customers may not qualify. Not available with some other offers. See dealer for details. 2Additional dealer discount from MSRP all prices plus Tax, Title and License. 3Some customers may not qualify. Not available with some other offers. See dealer for details. 4Must finance through GM Financial. Some customers may not qualify. Not available with some other offers. See dealer for details. 5Residency restrictions apply. Finance for $704 per month at 5.04% APR for 72 months with $0 down payment. Payment expires on 04/30/19. Lease for $538/month for 39 months with $0 due at signing including $0 Security Deposit and 10,000 miles per year. Payment expires on 04/30/19. Estimated Lease payment based on 39 months and $0 due at lease signing. Cash due at signing includes $750 capitalization cost reduction, which includes $650 acquisition fee, plus a required security deposit of $0, and first month's lease payment of $538. Excludes title, taxes, registration, and license fees. Total monthly payments equal $21,189. Mileage charge of $0.25 per mile over 10,000 miles. Not all consumers will qualify. Lessee responsible for maintenance and insurance during lease term. Charges for delinqent payments, excess wear and early termination apply.. Residency restrictions may apply. One Simple Price $50,185 Finance $878/mo Finance for $878 per month at 5.04% APR for 72 months with $0 down payment. Payment expires on 04/30/19. Lease $753/mo Lease for $753/month for 39 months with $0 due at signing including $0 Security Deposit and 10,000 miles per year. Payment expires on 04/30/19. 1Some customers may not qualify. Not available with some other offers. See dealer for details. 2Additional dealer discount from MSRP all prices plus Tax, Title and License. 3Some customers may not qualify. Not available with some other offers. See dealer for details. 4Residency restrictions apply. 5Must finance through GM Financial. Some customers may not qualify. Not available with some other offers. See dealer for details. Finance for $878 per month at 5.04% APR for 72 months with $0 down payment. Payment expires on 04/30/19. Lease for $753/month for 39 months with $0 due at signing including $0 Security Deposit and 10,000 miles per year. Payment expires on 04/30/19. Estimated Lease payment based on 39 months and $0 due at lease signing. Cash due at signing includes $750 capitalization cost reduction, which includes $650 acquisition fee, plus a required security deposit of $0, and first month's lease payment of $753. Excludes title, taxes, registration, and license fees. Total monthly payments equal $29,335. Mileage charge of $0.25 per mile over 10,000 miles. Not all consumers will qualify. Lessee responsible for maintenance and insurance during lease term. Charges for delinqent payments, excess wear and early termination apply.. Residency restrictions may apply. One Simple Price $50,185 Finance $862/mo Finance for $862 per month at 5.04% APR for 72 months with $0 down payment. Payment expires on 04/30/19. Lease $724/mo Lease for $724/month for 39 months with $0 due at signing including $0 Security Deposit and 10,000 miles per year. Payment expires on 04/30/19. Finance for $862 per month at 5.04% APR for 72 months with $0 down payment. Payment expires on 04/30/19. Lease for $724/month for 39 months with $0 due at signing including $0 Security Deposit and 10,000 miles per year. Payment expires on 04/30/19. Estimated Lease payment based on 39 months and $0 due at lease signing. Cash due at signing includes $750 capitalization cost reduction, which includes $650 acquisition fee, plus a required security deposit of $0, and first month's lease payment of $724. Excludes title, taxes, registration, and license fees. Total monthly payments equal $28,242. Mileage charge of $0.25 per mile over 10,000 miles. Not all consumers will qualify. Lessee responsible for maintenance and insurance during lease term. Charges for delinqent payments, excess wear and early termination apply.. Residency restrictions may apply. One Simple Price $68,387 Finance $1103/mo Finance for $1,103 per month at 5.04% APR for 72 months with $0 down payment. Payment expires on 04/30/19. Lease $930/mo Lease for $930/month for 39 months with $0 due at signing including $0 Security Deposit and 10,000 miles per year. Payment expires on 04/30/19. 1Factory Option Package Discount 2Dealer Discount From MSRP 3Must finance through GM Financial. Some customers may not qualify. Not available with some other offers. See participating dealer for details. Finance for $1,103 per month at 5.04% APR for 72 months with $0 down payment. Payment expires on 04/30/19. Lease for $930/month for 39 months with $0 due at signing including $0 Security Deposit and 10,000 miles per year. Payment expires on 04/30/19. Estimated Lease payment based on 39 months and $0 due at lease signing. Cash due at signing includes $1,750 capitalization cost reduction, which includes $650 acquisition fee, plus a required security deposit of $0, and first month's lease payment of $930. Excludes title, taxes, registration, and license fees. Total monthly payments equal $37,066. Mileage charge of $0.25 per mile over 10,000 miles. Not all consumers will qualify. Lessee responsible for maintenance and insurance during lease term. Charges for delinqent payments, excess wear and early termination apply.. Residency restrictions may apply.